The former leader of Croatia's ethnic Serbs, Goran Hadzic – the last suspect left on The Hague’s list of 161 fugitives – refused to enter a plea to the 14 charges put against him. ­Hadzic appeared before South Korean Judge O-Gon Kwon at the International Criminal Tribunal for the former Yugoslavia on Monday. Hadzic is accused of atrocities during the conflict between Croatia and Yugoslavia in the early 1990s, including the extermination, murder and willful killing of hundreds of Croats and other non-Serbian civilians. The 52 year old stood in court in a dark suit with a striped black-and-white tie. He was joined by an interim lawyer, Vladimir Petrovic. The Serb jurist has been temporarily appointed by the Hague tribunal until a permanent attorney is found for the defendant. 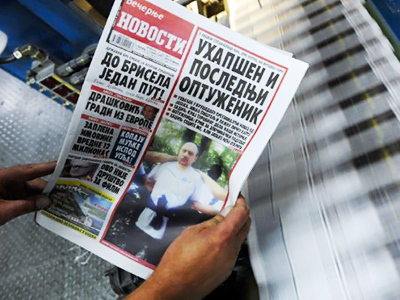 "Today Mr. Goran Hadzic doesn’t admit his guilt or claim his innocence," Petrovic was quoted as saying in court by the Interfax news agency. Hadzic has asked the judge for a 30-day postponement in the trail so that he can study the charges against him more carefully. 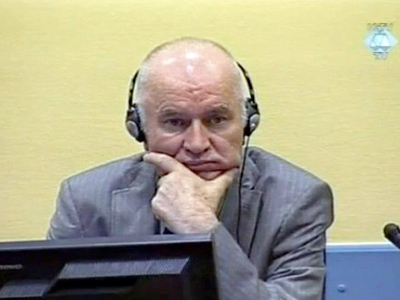 The date of the second hearing has not yet been set, but the former leader of Croatia's ethnic Serbs is certainly aware that his refusal to discuss the charges again would be accepted as admittance of guilt by the war-crimes tribunal judges. He will be asked if he pleads guilty on each of the counts, and will have 30 days to plead guilty or enter a plea. If he pleads guilty, he will be sentenced without trial. 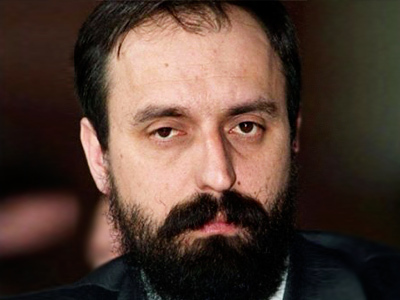 After seven years on the run, Hadzic was arrested in northern Serbia on Wednesday and extradited to the International Criminal Tribunal for the former Yugoslavia's UN detention unit in The Hague on Friday. 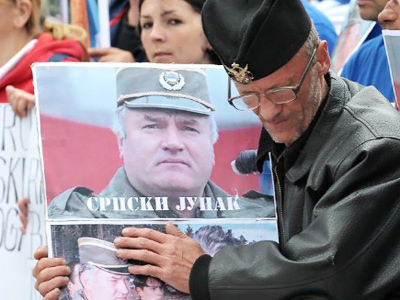 His arrest came after Serbian authorities captured the international war-crimes court's most-wanted man, General Ratko Mladic, on May 26. 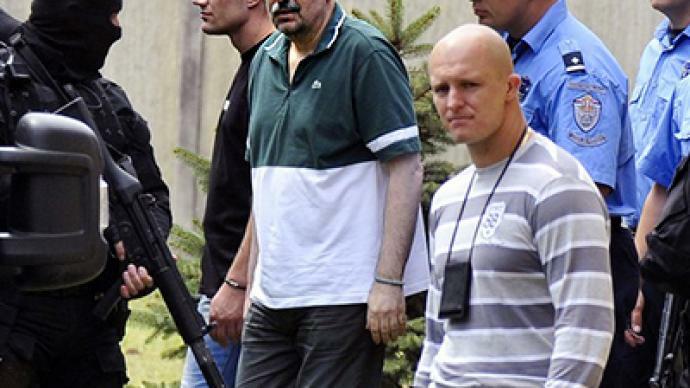 Serbia has hopes that the latest arrest of a major war-crimes fugitive will help open doors to the EU. However, writer and Balkans expert Diana Johnstone believes that the EU is not ready to accept Serbia to the bloc, and views the arrest of Hadzic as only another hurdle crossed – and certainly not the last one. Another hurdle for Serbia is its recognition of Kosovo, she observed. 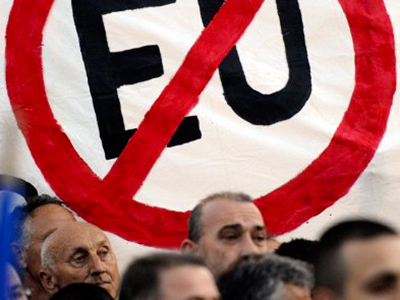 Johnstone also warned that Serbia would not get a quick bailout from the EU, if it were ever to join the union. “There is a lot of objection to letting in another Balkan state, as there is not too much contentment with Bulgaria and Romania being in there,” she said. Johnstone said she does not think Serbia is more corrupt than other countries, but questioned whether EU membership would benefit the Serbs.